Hans Blumenberg e l’ermeneutica dell’Illuminismo. Blumenberg et l’herméneutique de la lecture. Hans Blumenberg, in The Legibility of the World, introduces what a study of the perceptive and cognitive bearing of reading might be within a cultural history equivalent to the history of the becoming man of man. And yet, even while promising such an inquiry, all he delivers, with a few rare exceptions, is a review of certain uses of the metaphor of the «book of nature». The focus is surreptitiously shifted from the conditions and implications of «reading», understood as legibility, Lesbarkeit, to the simple usage of a cultural object taken as an «absolute metaphor», i.e. the world as a book. This leaves an entire project remaining to be fulfilled, concerning the invention of the mind in the practice of reading. In order to prolong this inquiry, it is therefore not so much a question of exploring the genesis of the categories of thought as it is of examining the ways in which thought is exercised under the liberating constraint of writing and reading. 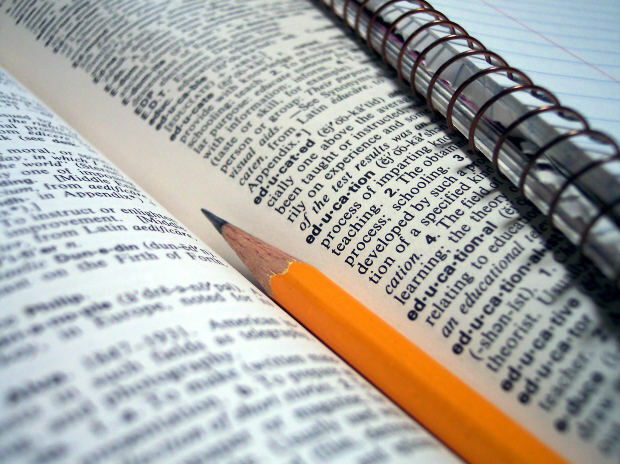 Delving deeper into the practice of reading leads to an experience capable of transforming the framework of thought. Returning to a piece of writing, constituting a text and the challenge of interpreting it bring about intensive practices of producing layers of sense, which cannot be separated from an innovating production of meanings. Here, we will firstly retrace the ambiguity of the project surrounding the book of nature, then investigate the paths opened by a consideration of reading as a cultural experience, and lastly attempt to extend this project towards a philology of the world. Book, Reading, Hermeneutics, Philology, Science. 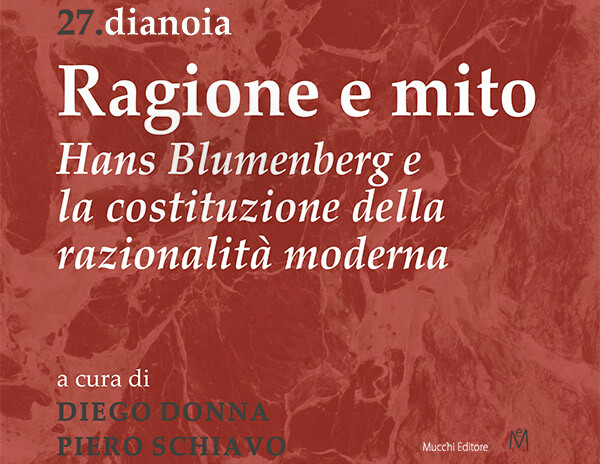 In the work of Hans Blumenberg, the Enlightenment is seen as a fundamental reference for Modernity, yet endowed with a particular theoretical «style» of the philosophical inquiry. Blumenberg describes this «style» through an analysis of the metaphors of the light, the book, the shipwreck and the cavern: «absolute metaphors» of the truth, the risk of the existence and the role of the paideia. During the Enlightenment, these images acquire in fact a specific orientation towards the future. Hans Blumenberg, Philosophy of Enlightenment, Metaphors of the light, the book, the shipwreck and the cavern. In the Chapter 9 of the 3rd Part of The Legitimacy of the Modern Age, Blumenberg deals with the problem of the separation between scientific research and happiness, such as it has taken a specific form with the Enlightenment. 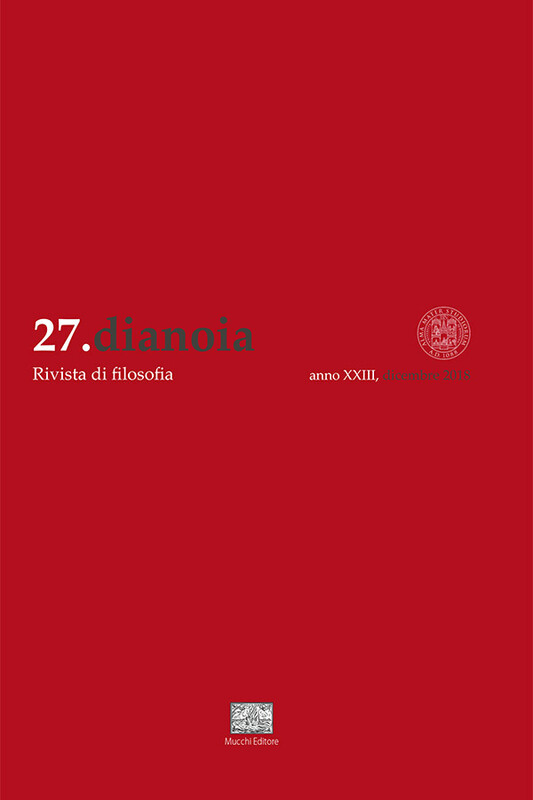 The rehabilitation of the theoretical curiosity having being achieved by the early modern philosophy, a new question has divided the thinkers of the Enlightenment: «the right of the scientific curiosity to be an unscrupulous activity». Blumenberg’s sympathy for the Enlightenment does not prevent him from seeing a potential threat of inhumanity in some absolutizations of knowledge that one can find among some representatives of the Enlightenment (Maupertuis), in a way that could be compared with Foucault’s ambivalent view of Enlightenment. Curiosity, Inhumanity, Voltaire, Maupertuis, Faust. Epoche della natura e storia dello spirito. The echo of the typical German debate Aufklärung-Romantik resounds in Blumenberg’s Die Genesis der kopernikanischen Welt. It is easy to trace some pivotal traits of the debate in Blumenberg’s characterization of modernism as an era of sharp confrontation between the new discovery consciousness and the enhanced objectivism of the new science. Enlightenment, Romanticism, Subject, Consciousness, Scientific revolution. The paper aims at exploring the relationship between myth, Enlightenment and Modernity in Blumenberg’s thought. Blumenberg’s critical hermeneutics is deeply related to debates within a broad philosophical field that has its roots in Horkheimer and Adorno’s Dialectic of Enlightenment. Basing upon a contextualisation of Blumenberg’s position with particular regard to the dialectical insight on Myth and to Cassirer’s notion of symbol, the paper attempts to focus the central role played by Nietzsche’s Philosophy concerning the relationship between theology and philosophy of history. Blumenberg’s interest in Husserl’s work – and, more generally, in the legacy of phenomenological philosophy – has been deep and constant throughout his production. What Blumenberg aimed at pointing out was the necessity to save Husserl’s philosophy from its own tendency to denaturalize the transcendental subject to such an extent that it then became impossible to articulate the question of the relationship between intersubjectivity and foundation in a proper way. If – as Husserl himself intended – intersubjectivity is the ground upon which the phenomenological foundation of knowledge rests, then intersubjectivity is to be meant as the process along which the anthropogenesis took place, from the leaving of the primeval forest to the present. In this sense, the emergence of human reason is not that what comes after the anthropogenic process, but is an element internal to this process itself. Blumenberg’s notion of actio per distans is the tool we need to better grasp the fact that the empirical orientation in the external world and the capability to manipulate abstract concepts coalesce into the unity of human biological development. Blumenberg’s reflection upon anthropogenesis does not lead, however, to a complete abandonment of the transcendental stance, but leads, on the contrary, to a more complex re-articulation of it, which allows to perceive how the foundation of knowledge is the result of the intertwinement of the empirical and the transcendental domains. Blumenberg, Husserl, Phenomenology, Anthropogenesis, Transcendental foundation. La modernité: récidive gnostique ou sortie du gnosticisme? Weather if Eric Voegelin is not quoted in the first part of the Legitimacy of Modern Times, devoted to the criticism of the category of «secularization», he is however the only opponent named at the beginning of the second part. Blumenberg accuses him of having interpreted modernity as a «recidivism of Gnosticism», leading to a historical regression. The two intellectual projects differ in their conception of the relation of man to the world. The great discovery of modern times is, for Blumenberg, that of a world open to progress and to the technical action of man. The order of nature remains, on the contrary, for Voegelin, immutable: any undertaking of technical or political transformation of this order participates in a nihilistic and vain gesture of an egophanic revolt. Beyond these points of divergence, however, there remains a common ground of analysis for both thinkers, who see in Heidegger’s (and Bultmann’s) thought a resurgence of Gnosticism, and refuse the submission of man to a form of decisionism of being. Gnosticism, Eric Voegelin, Martin Heidegger, Nihilism, Rudolf Bultmann. The essay discusses Blumenberg’s and Koselleck’s theories on secularization, starting from a letter Koselleck sent to Blumenberg in 1975. In a book published the previous year (Säkularisierung und Selbstbehauptung, 1974), Blumenberg had criticized the theory of secularization that Koselleck had developed in his doctoral thesis (Kritik und Krise, 1959), according to which philosophical concepts are born as secularized products of millenarian expectations. Blumenberg had contested this reconstruction and supported the complete independence of philosophical concepts from theology. In his response, Koselleck, on one hand, reaffirmed his position, denying the autonomy of philosophical concepts from theology; on the other hand, he partially agreed with Blumenberg, because admitted the possibility of an immanent use of philosophical concepts. Blumenberg, Koselleck, Secularization, Philosophical concepts, Philosophy of history, Expectations, Theology. Mutamenti teorici ed estetici tra antico e moderno. The paper focuses on the relationship between Blumenberg and «Poetik und Hermeneutik ». Basing upon the analysis of Blumenberg’s contribution to the activity of the group, the article aims at showing that, even though his relationship with the former members is not completely free of divergence of views, this collaboration can help us to recognize a fundamental aspect of his way of thinking. Indeed, the hermeneutical potential of Blumenberg’s reflection on historicity and modernity relies on the close link between philosophy and literature. Blumenberg, Hermeneutics, Literature, Philosophy, Historicity. Through some of Blumenberg’s many definitions of the Life-World, the article aims to reconstruct the philosopher’s reflection about this limit concept, showing its main characteristics and the connections it has with the concept of absolutism of reality. Furthermore, it’s illustrated the complex relationship between reason and absolutism of reality: the excess of meaning in the Life-World (its absolutism) is interrupted by the genesis of reason, an instrument of consciousness referred to a reality become just a possible, opened to meaning’s deficiency and to its absence. At the same time reason means, interruption of the Life-World and restoration of a new concordance at the historical level. In his work Blumenberg describes the manifestations of the double reason’s movement, a critical comprehension of reality articulated in a mix of absolutism and contingency, between obviousness and groundlessness of reality. Hans Blumenberg, Life-World, Meaning, Phenomenology, Concept of reality, Absolutism of reality, Contingency. Contingenza, temporalità e intuizione prospettica. Nicolas Copernicus’s reform of astronomy delivered a formidable blow to our perception of reality and our sense of self in nature. In its effects, Copernicanism probably affected human consciousness more deeply than Darwinism: it was a reform that shattered once and for all a comforting and enduring picture of our place in the cosmic scheme of things. In consequence, some perennial questions were raised anew: what is man’s place in the scheme of things? Does nature exist for the sake of man? Is there any intelligible order to be found in the cosmic scheme? And how is the Earth’s motion to be reconciled with experience and tradition? It is this dramatic shift that Hans Blumenberg seeks to explain. In my contribute I aim to show that for Blumenberg the impact of Copernicus cannot be reduced to an episode in the history of astronomy. It is, rather, the beginning of a changing focus in human awareness, which starts to forge a new sense of destiny in a cosmos seemingly devoid of coherence. Copernicanism, Phenomenology, Concept of Reality, Cosmos, Modern Age. Les sottises des hommes e l’accelerazione dell’età moderna. The game played out between Fontenelle and Voltaire oscillated between opinion and thought, acceleration and deceleration, faith in the progress of humanity and a nostalgic desire for the shepherd’s bucolic condition and the allure of a simple and immediate life. And yet, the century of the Encyclopédie, through its reading of history, its struggle against superstition and the efforts made towards a systematic collection of humanity’s creative expressions, overcame the temptation towards an eternal return, a cyclic movement or a culpable delay in enlightenment. It was time for erudition, reflection and science. Lastly, the time of the world and humanity did not fall back on nor seek refuge in an abstract meta-historical framework, but constructed its own sense, rational and emancipated from obscurantism. The philosophes carried out their own reflections on the idea of an illuminated reason that redefined history, leading the intellectual, the politician and the prophet to rethink the time of individual life in terms of human fraternity. Fontenelle, Voltaire, Blumenberg, Encyclopédie, History. Il riso del filosofo di Abdera. The present paper revisits the history of Democritus ridens’ legendary image, transmitted by the Pseudo-Hippocratic Letters and by the well-known opposition between Democritus’ laughter and Heraclitus’ compassionate tears. The main idea is that this image represents a sort of “absolute metaphor” of the relationship between the philosopher and the multitude, or between epistemic knowledge and doxa. This absolute metaphor finds place at the intersection of three other famous metaphors analysed by Hans Blumenberg. The image I analyse has acquired different meanings throughout the centuries, according to the sensitivity of each age and according to the image of the philosopher that each age has embraced. Democritus ridens, Pseudo-Hippocratic Letters, Lucianus, Montaigne, Burton, Descartes, Encyclopédie. In the essay entitled Selbsterhaltung und Beharrung: Zur Konstitution der neuzeitlichen Rationalität (1969), Hans Blumenberg delved further into the idea of «self-conservation». Blumenberg reads this concept as a philosophical condensation of the Seventeenth and Eighteenth century scientific debate on the principle of inertia, following the meaning given by Spinoza to the verb perseverare. As a principle of Spinoza’s physics, the conatus is distinguished by its intransitive way of operating, indicating as it does an activity that indefinitely conserves itself, unhinged from God’s transitive conservatio of the world. As the principle itself underlying modern rationality, the inertia of perseverare expresses a power turned upon itself. Blumenberg, Spinoza, Self-conservation, Conatus, Inertia.